THE EXPERT of parental wisdom Maggie Dent will present a parenting seminar at Orange High School in April. Drivers in Orange are being encouraged to plan ahead and avoid the block of the Mitchell Highway (Woodward Street) between Prince and March Streets on Friday this week. An IT professional who grew up on Sydney’s Northern Beaches, Jonathan Hambrook seems an unlikely candidate to become a vigneron, but he hasn’t regretted trading in the North Sydney office for farm life and a place in our growing local wine industry. At this time of the year, people start to think about the year ahead, so for a little fun we asked several local people about their thoughts, hopes or wishes for 2019. Dec 19 And the winners are! 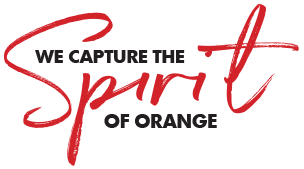 Orange City Life’s Strike Gold in Orange Competition has been running over the last three months and it all came to a head last Saturday with all winners being determined. Last Tuesday around lunchtime, I dropped into the CWA Hall in Robertson Park. What I discovered really moved me. Quota International of Orange is delighted to be able to donate $1000 for specific books, learning toys and equipment to the Paediatric Speech Pathology team in Community Health at Orange Health Service. Newcastle Permanent is asking the community to help make this Christmas memorable for children in need by simply adding one more item to their Christmas list. Nov 30 Will you give a gift? The most wonderful time of the year is just around the corner but some families, the gift of giving can be difficult.